Autumn Glory Apples are a large variety of sweet crisp eating apples that have a slight taste of cinnamon with a touch of caramel. They were slightly more expensive than other apples at the market, which is probably due to the fact that they are only grown and sold by the company that developed them, Domex Superfresh Growers of Yakima, Washington. 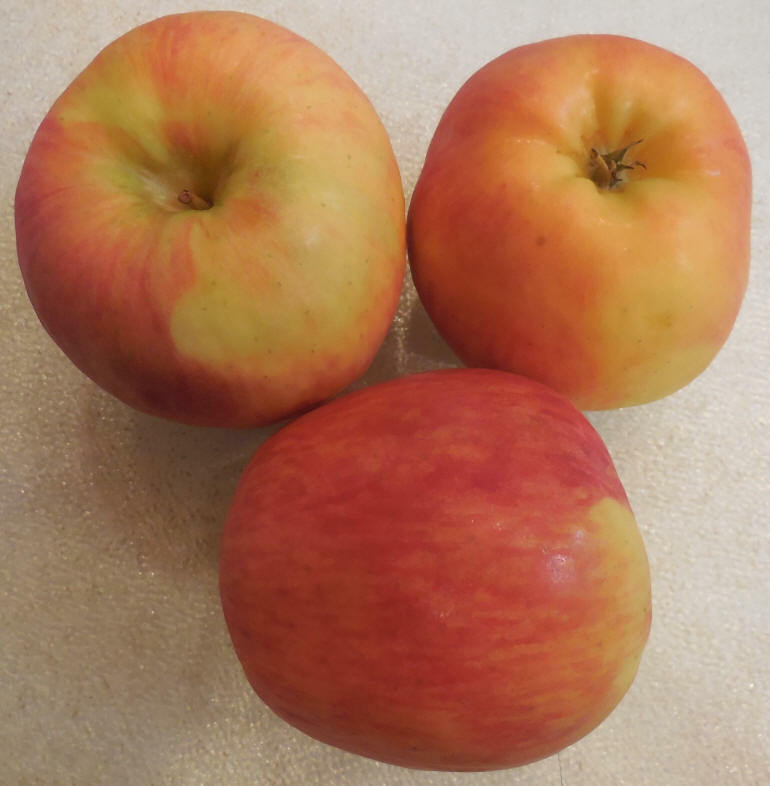 The original pollination cross breed of Fiji and golden delicious apples was made by Dr. Yu Lin Wang in 1976, but the apples were not released for sale until 2011. By 2014, the production crop had expanded to 56,000 trees. We could not find any comprehensive nutritional information for these apples.